Professional Healthcare Services (PHS) is a State licensed provider of skilled and other home health care services. PHS prides itself in providing quality compassionate care to all of our patients. Our goal regarding quality has been confirmed by annual compliance reviews and our patient satisfaction surveys.PHS is dedicated to a continued attitude of caring and professionalism, which is accomplished through continuing education of staff and continuous quality review and improvement (CQI). PHS maintains a 24 hour telephone and email access in order to be constantly available to all our clients and perspective clients. PHS is a locally owned and operated organization that is fully licensed by the Nevada Division of Health. We have ongoing relationships with a variety of government agencies, workers compensation, and long term care insurance companies as well as many Provider Networks. The agency offers competitively priced services. Every new or perspective client is fully evaluated by our professional staff which includes input from the patient, family and the patient’s physician. A complete plan of care is created and fully discussed with the patient as well as family representatives. Our methodology regarding patient care planning ensures that a strong relationship is created between our agency, the patient and all others involved. This method has proven to provide the best possible “roadmap” to success. 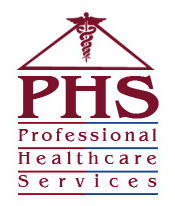 PHS prides itself in patient satisfaction and fully recognizes that one of our greatest assets is a very strong staff of well educated, trained and competent individuals who have significant longevity with our agency. Our immediate attention will be given to all requests regarding our services. Feel free to contact us at any time with questions, concerns or request's for services.